The dance is incorrectly described as Proper; the description at the end of B1 makes it clear that it is in fact First Couples Improper. This dance was also published in Zesty Contras (1983) where the Handy Hand Allemande is specified. The dance as described above tends to drift down the hall as the #2s never move up. The alternative A1 above is given in Zesty Contras to fix this. 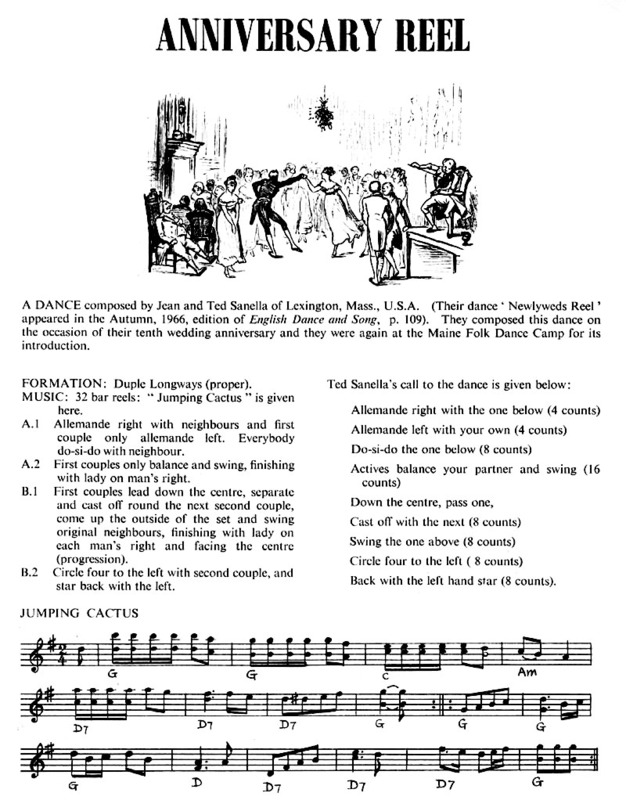 This dance was also published in Ted Sannella's book "Balance and Swing" in which Ted suggests that during the B1 dancers "should move up a bit while swinging to keep the set from drifting downward". Thanks to Jim Saxe for the corrections and clarifications.